The death last week of Saudi Arabia's crown prince, Nayef Bin Abd Al-Aziz, aged 78 and heir to his half-brother, King Abdullah Bin Abd Al-Aziz, was not immediately foreseen by the Saudi public. The appointment of his successor was, by contrast, no surprise. Saudi's new crown prince is Nayef's brother, Salman Bin Abd Al-Aziz, the defense minister and former governor of the Saudi province and capital of Riyadh. 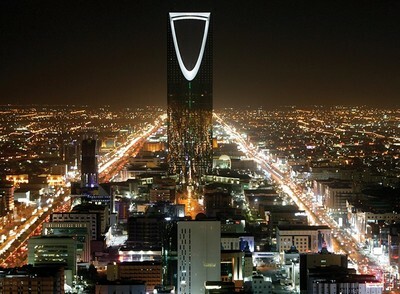 Saudi subjects and foreign observers, however, had expected that the transfer of responsibilities would be handed, at least formally, to the Allegiance Council, a body established by King Abdullah and made up of the surviving sons and grandsons of King Ibn Saud (1876-1953), founder of the present-day Saudi state. Instead, King Abdullah may have ignored the Allegiance Council, or deferred its role in the process to one of approving, after the fact, his appointment of Salman as the new crown prince. Perhaps King Abdullah feels besieged: The political crisis in Egypt, the carnage in Syria, the Iranian threat to Gulf security, and the specter of a hard-line Wahhabi bid to overturn Abdullah would all have encouraged rapid action to assure stability. The sons of Ibn Saud are all elderly, and while Nayef had been declared healthy only days before he succumbed in Geneva, Switzerland, their mortality should not be startling. According to the Royal Islamic Strategic Studies Centre in Jordan, King Abdullah is 88 (a matter of minor dispute in Western sources) and will turn 89 on August 1, 2012. The new crown prince Salman is 77, according to the London-based pan-Arab newspaper, Asharq Al-Awsat, which is published, along with Arab News, an English-language daily in Jiddah, by the Saudi Research and Marketing Group, of which Salman's son Faisal Bin Salman is chairman. In the aftermath of Nayef's death and Salman's ascent in the princely hierarchy, numerous commentators have discussed the persistence of Saudi authority in the hands of the aged. Yet for many Saudis, King Abdullah, the late Nayef, and crown prince Salman are more important as representatives of competing kin groups and differing ideological perspectives on the future than as exemplars of a generation past its time. King Abdullah is a half-brother of the Sudairi sons, seven full brothers born to Ibn Saud's favorite wife (among many), Hussah Bint Ahmad Sudair (1900-69). The "Sudairi Seven" included the late King Fahd (died 2005) and Sultan (d. 2011), Nayef, Salman, and Ahmed Bin Abd Al-Aziz. Ahmed, born in 1941, was designated, over the past weekend, as minister of the interior, the post held by Nayef since the 1970s. Salman and Ahmed are now the only Sudairis with major influence in the royal hierarchy, of four survivors from the Sudairi Seven. The other two living Sudairis, Abd Al-Rahman Bin Abd Al-Aziz and Turki, have held defense posts but are believed to be discontented with the failure of their brothers to award them better positions, and play no public role in Saudi life. The seven brothers considered King Abdullah, not a Sudairi, an unthreatening nullity when he was appointed crown prince in 1982. But Saudi sources long claimed Abdullah was disaffected with the extremism of the Wahhabi clerics whose ideology is the official interpretation of Islam, and that if he gained control, he would initiate reforms. This he has done, if cautiously. Above all, King Abdullah has demonstrated sympathy for the improvement of women's status, including granting the right of women to vote and run as candidates, without permission from a male "guardian," in limited elections scheduled for 2015. King Abdullah and Nayef were perceived as following opposite tracks in Saudi affairs, with the monarch promoting, and the late crown prince opposing, social change. But the king's program of normalization may gain considerably by the rise of crown prince Salman and the new duties of prince Ahmed as interior minister. Although they are Sudairis, both are considered supporters of King Abdullah's (relatively) enlightened course. Salman distinguished himself in his administration of Riyadh, where he met with numerous foreign diplomats and other visitors. As defense minister since last year, he traveled to the U.S. and Britain, and Obama met him in the White House in April. Furthermore, that Salman's son Faisal publishes Asharq Al-Awsat and Arab News, which feature accurate reporting and critical opinions, demonstrates an alignment with Abdullah's ameliorative ambitions. With Nayef out of the ministry of the interior, Ahmed may further professionalize policing in the kingdom, and improve Saudi action against al Qaeda. Although he assumed a posture of stern repression against violent radicals, Nayef, as anti-terror chief, held the view that jihadists could be "rehabilitated" by moving them back to Saudi Arabia from the U.S. facility at Guantanamo Bay and providing them with proper teaching. But the success of the project varied, with the Saudis claiming "only" a 10 percent rate of return to al Qaeda activity, typically in Yemen. One anecdote that illustrates the difference between Salman and the Wahhabi troglodytes who supported Nayef involved another of Salman's sons, Sultan Bin Salman. In 1985, the young prince traveled aboard the U.S. space shuttle Discovery, and observed the Earth's curvature and rotation around the Sun. Sultan Bin Salman communicated the evidence of his eyes to the blind Wahhabi cleric Abdullah Ibn Baz (1910-99), then grand mufti of the Saudi kingdom, who in 1966 and 1982 had proclaimed that the Earth was a flat disk around which the Sun revolved. Ibn Baz threatened to condemn anybody who thought otherwise as an apostate from Islam, but withdrew his opinion after prince Sultan Bin Salman's return to Earth and communication with him. Salman also has ugly incidents in his past. In 2002, as governor of Riyadh, he ordered the flogging without trial of 39 young men, including 11 foreigners, for "harassing girls"— i.e. flirting—near girls' schools, women's colleges, and in public parks. The lashings were carried out by representatives of Salman's governorate office, the department of public prosecutions and investigations, the police, and the infamous "Commission for the Promotion of Virtue and Prevention of Vice" or "morals patrols," usually referred to as "religious police." But ten years have passed since then. The "morals patrols," which formerly included unpaid personnel and were known to the public as "pious volunteers," were reformed by order of King Abdullah in 2007. They no longer carry leather-covered sticks with which to beat those they suspect of straying from Wahhabi strictures. Nayef's fanatical Wahhabism included intransigent support for the "morals patrols," although they report to the king, and not to the interior ministry which he directed. In May, a viral video posted from Saudi Arabia showed a woman in a mall confronting and denouncing members of the patrols who ordered her to leave the facility. She appealed to the regular police for assistance, and appeared to succeed in her rebuff of the Wahhabi monitors of public conduct. She threatened to inform the new head of the "commission," Abdul Latif Abdul Aziz Al-Sheikh, appointed by King Abdullah in January, of their misbehavior. With a team now including the new crown prince Salman and prince Ahmed, King Abdullah, at his advanced age, may succeed in his efforts for reform. Such might render a full-fledged "Arab Spring" scenario unnecessary in Saudi Arabia. The blind Muslim cleric Ibn Baz once intimidated the whole Sunni Muslim world, but Salman's son Sultan told him the truth about the heavens and the earth, which he had seen for himself. That lesson, which epitomizes the Saudi dilemma, should be remembered and emulated.